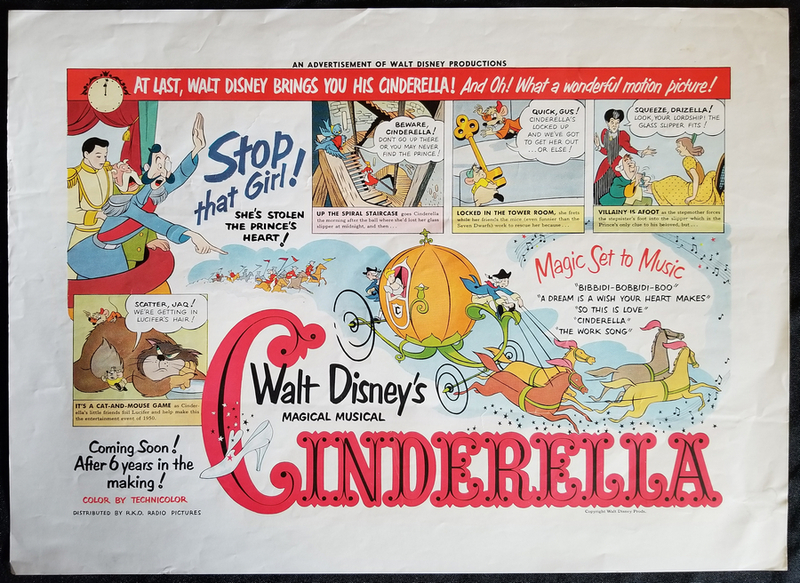 This is a marketing advertisement mock-up used to promote the release of the 1950 Walt Disney Studios animated feature, Cinderella. This tear-sheet features all the key promotional details and synopsis for the film to promote its release in theaters. These marketing materials would be distributred for advertisements in print for a double page magazine advertisement. The overall piece measures 12" x 16.5" and the image area is about 9.5" x 14". This piece is in good condition with edge wear, discoloration, and some wrinkling.